If you’re going to build a Hoverboard into a collector’s piece, why not do it with some style? Throughout the first full week of December, the much anticipated Back to the Future Part II prop-replica Hoverboard, produced by Mattel’s high-end Matty Collector brand, began shipping out to eager fans. For many who had been waiting since pre-orders were placed back in March, expectations were set high. Beyond the Marquee had a hand in raising those expectations when we produced two episodes at Mattel’s design studio covering the development of the boards. Our staff were just as enthused when we met with Scott Neitlich, Mattel’s Marketing Manager, who ensured everyone that “it’s going to be perfect, it’s going to be what we wanted, it’s going to be the Hoverboard we’ve been waiting for”. The bar had been raised. Back to the Future’s Co-Creator/Producer/Writer Bob Gale and Special Effects Supervisor, Michael Lantieri, visited Mattel and were brought in to consult and share screen-used Hoverboard props with the Hoverboard design team. 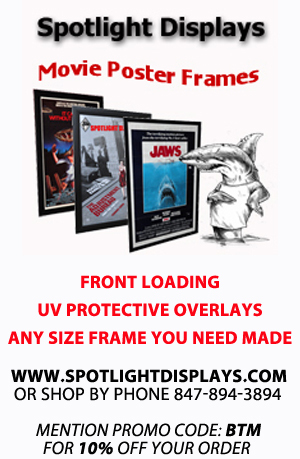 With these authentic visual references fully available, it seemed like a guarantee that all aspects of color, size, shape and sound for constructing a screen-accurate prop replica would be met. As the months rolled by, however, rumors began swirling online that the final product might not live up to those expectations and Mattel, when pressed, remained very quiet on the subject. The company still isn’t saying much. Unfortunately, the rumors turned out to be 100% accurate and the end result was a Hoverboard that has not lived up to the hopes and dreams of those who shelled out good money for a quality collector’s piece. Fans who purchased the boards are now becoming more vocal online, requesting refunds and lambasting Mattel (with Beyond the Marquee and Bob Gale thrown in the mix a bit). Despite our loyalty to Scott Neitlich and Mattel’s generosity to our site, we don’t blame the critics of these Hoverboards at all and we, as fans of Back to the Future ourselves, do join in the complaints. Mattel sent us a Hoverboard a few days ahead of their shipping schedule so that we could have a chance to review it. This Hoverboard was fully purchased by us and not given as a free or promotional item from Mattel. 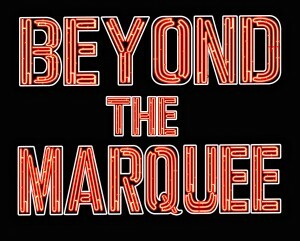 We encourage you to view the video and read the review at this link: http://www.beyondthemarquee.com/15970. Bob Gale, who enthusiastically ordered eight boards for himself, has now publicly come forward to express his concerns to loyal Back to the Future fans who believed, as he did, that this would be the ultimate Hoverboard prop-replica. He shared his views with us and our partner site, BTTF.com, by submitting the following letter. Many of you saw my appearance back in March on “Beyond the Marquee” in connection with the announcement of Mattel’s hoverboard replica. (Here’s the link if you’re curious: http://beyondthemarquee.com/5460/ ) Mattel had invited me, along with BTTF-2’s special effects supervisor Michael Lantieri, to tour their facility and meet with the team that was doing the project. I brought my two hoverboards from the movie and John Bell’s original art concepts so they could get the exact measurements, determine colors, and get some ideas about materials. Michael and I talked with the team about the boards and the visual effects. We liked everyone we met, and their passion for the project was genuine. I was convinced Mattel was going to do us – and themselves – proud, and that the final version would be something every fan would want to own. You can see my enthusiasm on that video segment and, shortly after that segment ran, I put my money where my mouth was: I dropped a grand and ordered eight of them for myself. I had no further meetings, discussions, progress reports or updates regarding the project with Mattel. I did hear some rumors in October that some fans were unhappy with what they perceived the final product was going to be, but I (wrongly) attributed this to the usual “you can’t please everyone” syndrome. Last week, I received the first of my hoverboards. 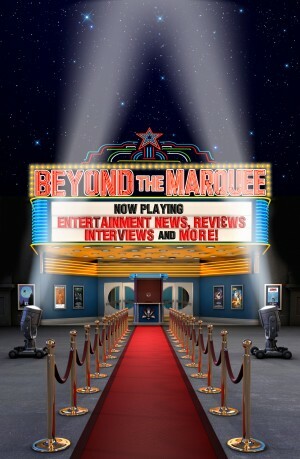 I had seen the review on “Beyond the Marquee” a few days earlier (http://beyondthemarquee.com/15970/ ), so my expectations were lowered. Nevertheless, I was disappointed. Jon and Steve’s review was spot on, and my issues are basically the same as theirs. The plastic stand is poorly designed and damn near impossible to make work. And although it was indicated that the board would somehow glide across certain smooth surfaces (like carpet), mine certainly didn’t. I too thought the sounds the board makes were underwhelming. But I would have forgiven all of these things if they had just gotten the lenticular quality of the movie board correct. This, in my opinion, is the product’s biggest problem. It’s supposed to be a prop replica so, at a $120 pre-sale price, it should look perfect. But it misses that mark. It’s not a disaster — far from it: the colors, dimensions, weight are great with a solid build quality, and the box graphics are a lot of fun (even though it’s missing the sticker that says “warning: does not work on water!”). And if it was $70, I’d give it an A. But at almost twice that price ($130 now), it is, at best, only a B. And dammit, I expected an A.
I emailed Mattel, expressed my opinion and told them I planned to go public with it. Scott Neitlich was a total pro and responded immediately. He told me that despite many attempts, they were unable to satisfactorily recreate the lenticular surface and chose to go with the photographed version. That may be true, although I am puzzled how we were able to do something 23 years ago in the movie (admittedly at a much higher cost) that Mattel could not do today. I honestly don’t know why Mattel didn’t tell me, or Universal, that they were having this problem when it developed, nor why they didn’t ask us to help them solve it. And I really don’t understand why they didn’t get in front of this issue when they made this compromise instead of choosing to disappoint their customers at delivery time. But no one likes to own mistakes or compromises, especially in corporations. So it is what it is. 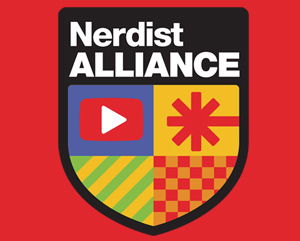 I put myself out there to promote this, so now I want to publicly stand here with egg on my face and apologize. This product, at this price, falls short of the top notch standards that you and I have come to expect for something that carries the Back to the Future brand. To those of you who bought one because of my endorsement and are upset with the product, I’m very, very sorry. Please accept my apology. I share your disappointment, and you have permission to put my photo on a dart board and throw sharp objects at it. As always, Bob Zemeckis and I truly appreciate the continued support and enthusiasm of all of you in the fan community for our films and for all things BTTF. We thank you for that, and I promise to do a better job of riding herd next time. My best wishes to you all for a happy holiday season. UPDATE: A day after posting his letter, Mr. Gale further explained some of his reasoning for not being entirely pleased with Mattel’s final Hoverboard version. Here he provides side-by-side comparison photographs to show some of the inconsistencies that unsatisfied collectors have been mentioning. What do you think about Bob Gale’s letter? Let us know (we’re sure Mattel will see this) by leaving your polite comments below. It’s a shame that Mattel didn’t produce a product that would meet or exceed expectations. Unfortunately it’s a trend that is everywhere in this business. I’m not really a collector of anything, but really love the BTTF movies. Honestly though… I’m having trouble understanding exactly what everyone is upset about. People were lied to by Scott Neitlich. He/They said this will be fantastic, a prop replica down to the smallest detail and have lenticular graphics. They have since back peddled and proclaimed it a toy. He doesn’t understand the concept of managed expectations. He also the brains behind the failure that was the Green Lantern Movie Toy Line. Amazing, this came as a shock to me, Bob Gale has come out saying what the fans are saying. His point is the one that has been going through my head over and over again. They created a board with lenticular 23 years ago, surly Mattel could’ve done the same in 2012? It seems crazy, I cant get my head around. They were able to do the board 23 years ago, but not now?? I’m kinda new to the Collector scene and have primarily been purchasing from Hot Toys / Sideshow. This is my first time placing an order from Matty Collectors. Watching the ‘behinds the scenes’ videos earlier in the year had me so excited, especially knowing they brought in Bob Gale and Michael Lantieri. I was looking forward to owning a piece of my 80s childhood. The Back to the Future movies were that magical. I’m bummed out to hear that Mattel took shortcuts in producing this Collectors item. It’ll arrive soon and I’m not even excited to take it out the box. The price of the board wasn’t going to be an issue for me. I would’ve paid more as long as we were getting something screen accurate and of quality. This is an Epic Fail by Mattel and a classic Bait & Switch by advertising through web videos that the board would be authentic down to the last detail, then change it and not even disclose to customers who pre-ordered that it was changed significantly and kept quiet about it while pre-orders shipped only to have customers discover it was not as promised AFTER they received them. I hope a class-action lawsuit is filed and customers will get their money rightfully refunded. Shame on you Mattel. You just destroyed your reputation. I will never buy another product from you again. Kudos to Mr.Gale on this. The solution is pretty simple really. Send out FREE lenticular stickersheets in the shapes of the pink areas on the board that the customers can apply themselves if they want (or have a friend with a steady hand do it). As many have stated you can get notebooks with lenticular graphics at the dollar store. Spend the $10 (TOPS!) per unit to make this right instead of losing the roughly $200.00 (shipping, time etc.) in returns per unit. Or let people return them and re-do the decals correctly. It’s decals it’s not a like it’s an issue with something internal. This is a problem that can be solved and stepping up and doing the right thing would make a much better statement than the silence has. You guys should have been much more critical of the hover board. Your bias toward Mattel and fear of losing free stuff from them has proven your critical credibility to be zero. Beyond the Marquee staffers have not received any free items or promotionals from Mattel. All of our staffers purchased their own Hoverboards which were used to compile our reviews. Mattel couldn’t reproduce the holographic material “despite many attempts”?? There are school notebooks with holographic material on the covers at the dollar store. Come on Mattel, if you’re going to make up stories, at least make them believable. The hover board debacle now is officially is beyond a few disgruntled fans and admittedly a failure. But not due to Bob Gale, who was gracious in coming to Mattel and trying to help. This is Mattel’s fault and the project leader and marketing. Shame that the person they asked to help now is taking the blame for something out of his control. And just to note, I don’t think the lenticular was the killer on this project, I think the fact they would not consider the poor materials on whole, inaccurate graphics needed due to the inaccurate sizing of the objects on the board as well inaccurate materials which Mattel weighed to trying to achieve what was poor sound and glide effect killed this project. They lost focus of what the project was trying to achieve originally. I did not think it could get worse for Mattel, but it just did. The silence as throughout the whole project deafening. And when Mattel has decided to speak, those words were meaningless. Now comes the fallout. Its a shame, the board is not terrible, in fact, I would not mind still getting one, but at a lower cost (Bob Gale was correct on the value of the final product). But it was never the authentic replica they hyped at the beginning. And they never listened to the customers when things went off path, belittling them on the Mattel forums instead. Mattel now needs to come up and be honest about what happened, not let Bob Gale take the hit. They have to turn around and really focus on the future products. Understand mission goal and focus. They need to start listening to the customer base on all their lines. They need to assign someone(s) who has a passion for their own products to have an inside line and outside line of communications on their own forums. And frankly, they need to be honest when doing so. Most of all, make this “the learning curve”, the textbook of what not to do and how not to handle such a project, and show that knowledge with PR and good products from here out. Yeah, I STILL want an accurate replica as well. I don’t know that Mattel would have the hutzpah to have a go at it again. This is not exactly the most complicated prop from BTTF, the so called Holographic material was a simple image of ball bearings. This is very easily replicated if you do both your homework and sourcing correctly. This is now no longer a true props replica other than it appears to be dimensionaly correct. In what is perhaps a ill conceived cost cutting measure, they have honestly blown their credibility big time. Which is really a shame..
For my part I have produced a fine props replica toy space ship from our classic television show “My favorite Martian”. We licensed it to Pegasus Hobbies and we spent over six months in R&D and since we feel the need to reward fans we priced our product a thirty six bucks..a far cry from the hundreds others demand. Universal at the end of the day just like us had final approvals on the finished product..they really should have held Mattel to a higher standard on this as I always do with my products it’s just that simple.